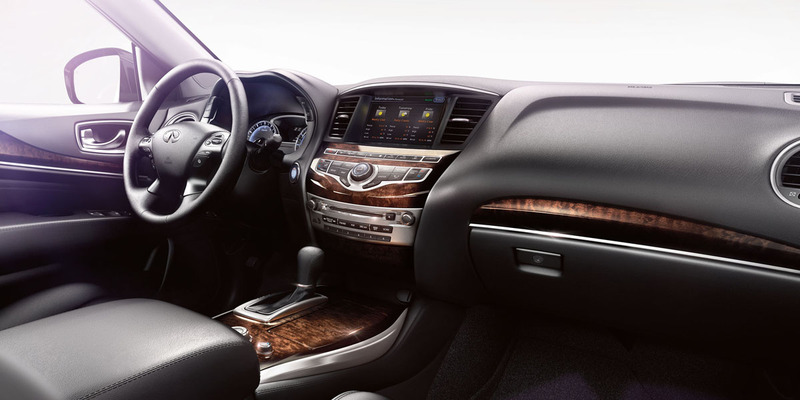 The QX60 offers the usual “premium” polish and features with unusual control clarity and a serene driving experience. The hybrid model has a supercharged engine. 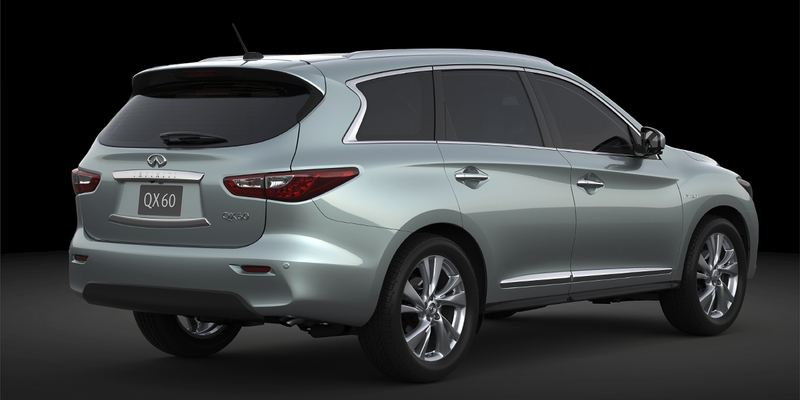 The QX60 was introduced for 2013 as the JX, Infiniti’s first 7-passenger crossover SUV. (Infiniti’s line-wide model-name revamping for 2014 brought about the name change.) QX60 fills the gap in Infiniti’s product line between the midsize 5-seat QX70 crossover and the 7-seat premium-large QX80. 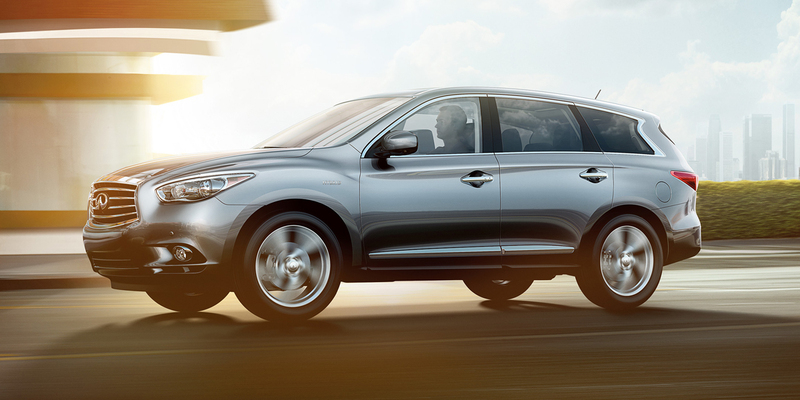 The latter uses body-on-frame truck-type construction while the QX60 employs a car-type unibody design. QX60 borrows some elements of its basic design from the Nissan Altima, which is produced by Infiniti’s corporate parent. After receiving its new name and a gas/electric hybrid model last year, QX60 sees only minor revisions for 2015: new available colors and an update to its continuously variable automatic transmission that enables it to mimic the behavior of a traditional automatic. EPA estimated fuel economy for the QX60 is 20 mpg city/26 mpg highway for front-drive models and 19 city/25 highway for AWD. In Consumer Guide® testing, an AWD QX60 averaged 20.1 mpg with slightly more highway driving than city use. EPA figures for the hybrid model are 25 city/28 highway with front-wheel drive and 26/28 with AWD. 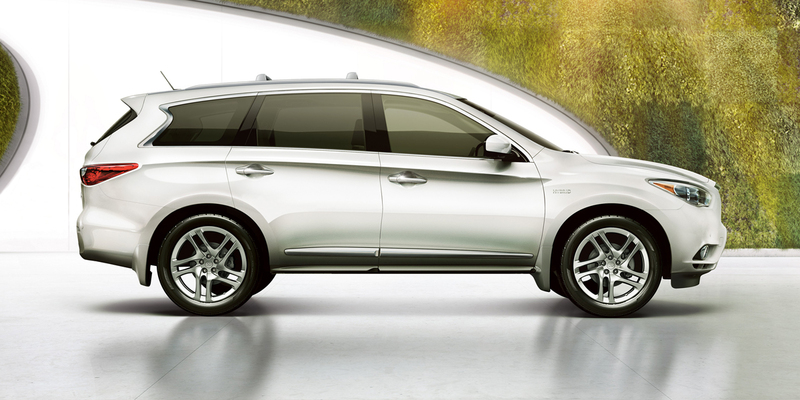 Infiniti recommends premium-grade gasoline for the QX60 and regular for the QX60 Hybrid. Urbane cabin appointments with simple (for the class anyway) controls and a serene driving experience are QX60 highlights. Less impressive is the QX’s handling and ride quality when equipped with the optional 20-inch wheels. Base prices are competitive, and though Infiniti requires the purchase of costly option packages in order to get some desired features, considering all the content, it’s not unreasonable.